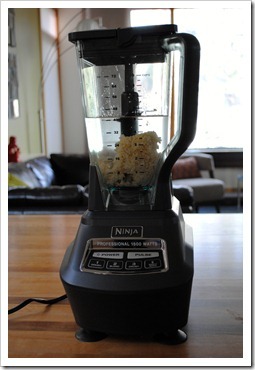 Here we are at part four of my five-part look at the Ninja Mega Kitchen System. Thanks for all your nice notes and support as I’ve done this slightly unconventional review/how-to, and looked at various aspects of using this system. My aim is to give you a varied look at all of the different jars and blades that come with the standard system (though I don’t have the special food processing attachments…yet). The response has been great and I really appreciate it, so thanks for the love! I haven’t really talked about this on the blog, but I don’t typically drink dairy milk anymore. Haven’t for, gosh, two years I think. Sure, there are exceptions, like on vacation. I am not a “fuss-maker” and don’t like to draw attention to my more unique diet choices when out and about. But, in general, I’m off dairy. Maybe some day I’ll get into why, but for now, let’s just take that as a given and roll with the topic of the day: Making rice milk. 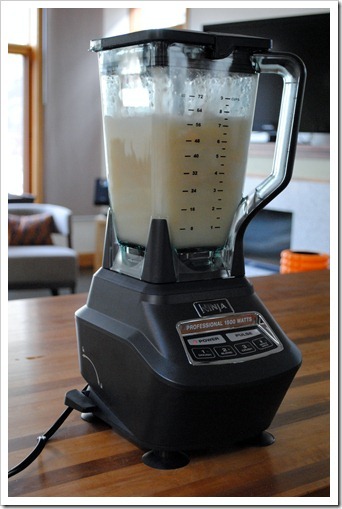 It is truly easy to make rice milk in any blender. Cooked rice is inherently soft, so it blends nicely. 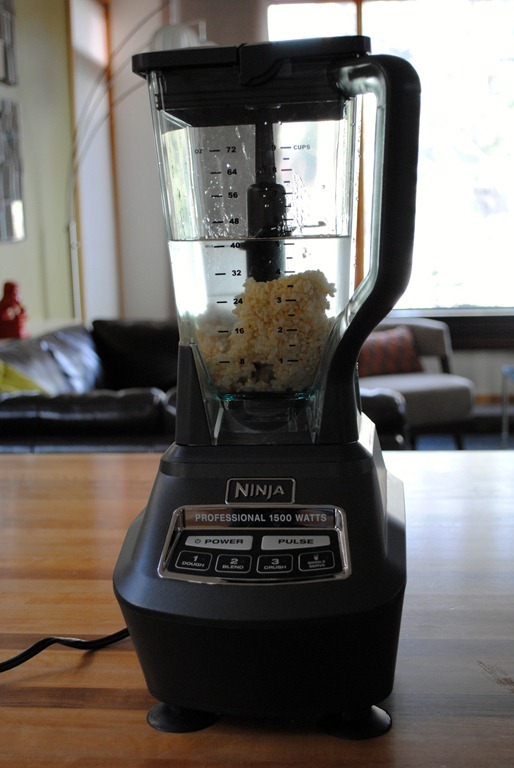 However, if you want to do it fast, the Ninja can make rice milk on the double! Note: if you want it to be extra creamy, ultrarunner Scott Jurek (of Eat and Run fame) suggests adding a tablespoon of sunflower oil. I have never done this step, but go for it if you are so inclined! I like to make up big batches of rice at one time and freeze them. Just freeze it in 1 quart zip-top bags (leave air space for expansion) and take out of the freezer and put in the refrigerator two days before you want to use the rice. You can also make rice just for the milk and make extra for dinner that night, which is what I did here. Add your water, rice, and salt (and oil, if using) to the pitcher. 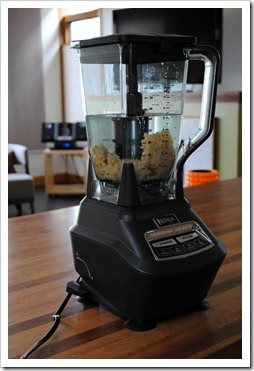 It’s a good idea to lock the blender down to the counter to keep it from running away from you with all the power! 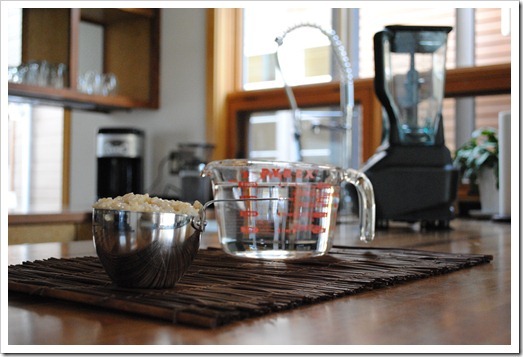 Step 3: Blend on “2” (Blend”) for 20-30 seconds, until the rice and water are fully combined. If you really want to give it a kick in the pants, blend on “3” for 10-20 additional seconds to make sure everything is totally pulverized. 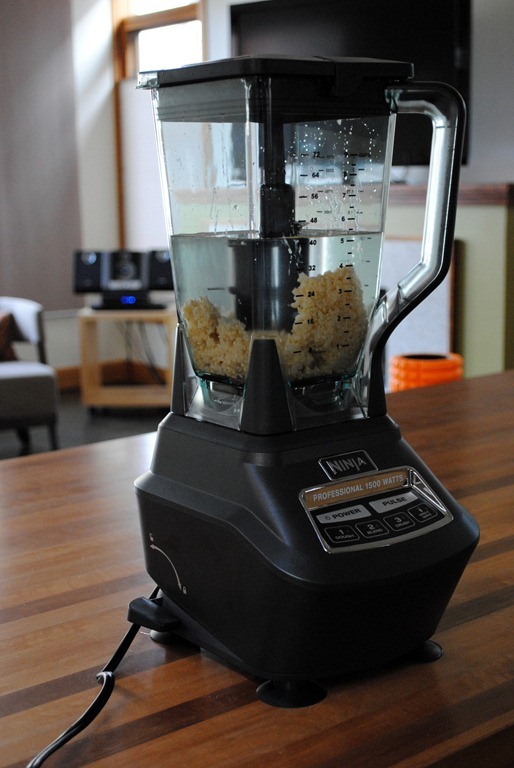 It turns out high-speed blender action just looks like a swirl in photos, but, you get the idea. You could strain this if you want. I don’t strain. 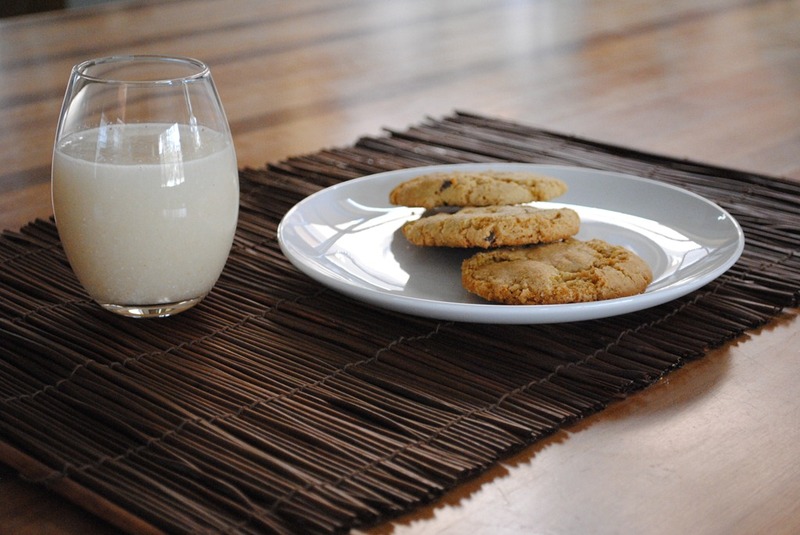 If you like more of a skim milk type consistency, use a nut milk bag, cheese cloth, or fine mesh sieve to strain. Store it in an airtight container in the fridge (I prefer Blender Bottles for these types of things because they are BPA-free – we have a lot of them). It’ll keep for up to five days and makes about five-six servings. Note: If you want just one serving, scale the recipe by 1/4, and blend it in the single serve cup that comes with the Ninja Mega Kitchen System. This is a very easy project, and way cheaper than buying rice milk at the store (plus you don’t get all the extra preservatives). 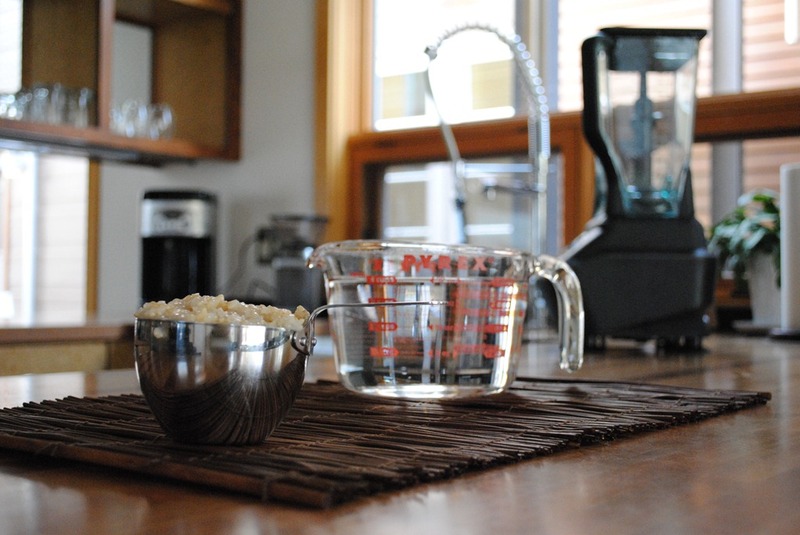 A two pound bag of brown rice goes for about $5 (in our neck of the woods), and makes about 10 cups of cooked rice. That translates to 50 servings of rice milk in a bag, or $.10/serving. Conversely, a 32 ounce container of “Rice Dream” is $2.99, and has four servings, or $.75/serving. Can you do this in the Ninja Pulse? Yes. Does the Ninja Mega make any measurable difference? I’d say the main difference is just the speed of completion. It is super fast with all the power in the Ninja Mega System. The Ninja Mega also lets you make a single serving in the “to-go” cup, which is nice (of course, the Pulse has the to go cup option as well). I can’t believe that it’s so easy to make. I didn’t realize you’d use cooked rice and that you don’t need to strain. I’m hoping to try this one. Yes, I’m gonna have to dig out the ole blender. Lol. U are always inspiring me to blend stuff! I just made my first batch of rice milk and put it in the fridge. may i know how long will the brown rice milk last? 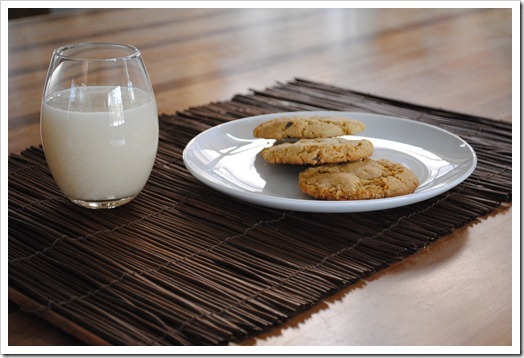 and is there any preservatives that we can use to prolong the shelf life of the brown rice milk? The milk will last 4-5 days in the fridge. Instead of preservatives, I would recommend making a smaller batch if you are worried about not using it in time. Does this freeze well? If it does, maybe that’s a way to stretch out the time? I have never tried freezing it, but if you give it a try, let us know! OMG!! Thank you SO, SO much for doing this! 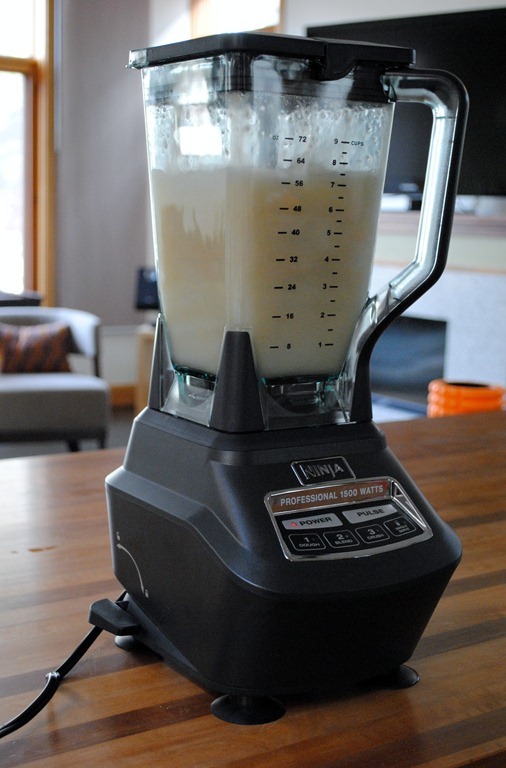 My husband has a lactose intolerance as well as a mild soy intolerance and a nut allergy, so we’ve been dying to find a way to make his (4 times a day) rice milk protein shakes at less than $6 for just the milk every day. I was a little concerned that the process would be overly difficult or require special equipment but this looks super easy. I do have two quick questions though, now that I think of it. Does it matter whether I use a rice cooker or just a pot on the stove? And if it does, can you recommend a rice cooker? Thanks! Glad you found the instructional useful! It is way cheaper to make your own!